Make V I P FLORAL your first choice for premium fresh flowers and upscale design artistry for your dream wedding and all your special occasions! We go the extra mile to ensure your flowers are more than a memory. 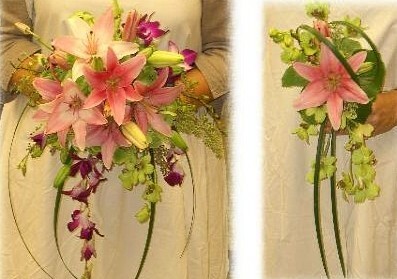 Our staff has over 30 years of combined floral design experience and can offer lots of beautiful style suggestions in an effort to create the overall look you hope to achieve. 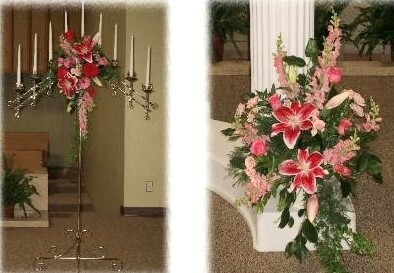 At V I P Floral, we'll make your flowers more than a memory! Show your personal style with a design created just for you. 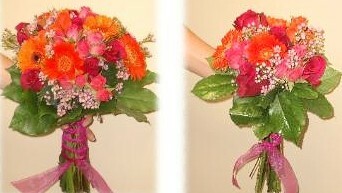 Color swatches are very helpful when choosing coordinating flowers and ribbon. Brass candelabras, an arch, aisle runners, pew bows, fresh arrangements, wedding party flowers, corsages, boutonnières and reception decorations are available. 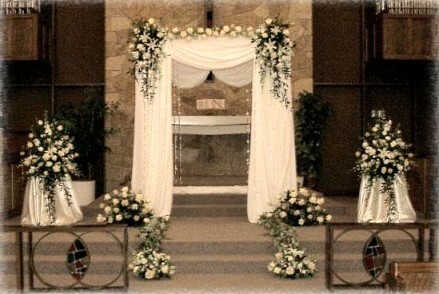 Delivery and setup of wedding rentals is offered. Delivery is complimentary for local weddings; out of town delivery charges will be applied. Our shop is located at 2539 20th Street in Slayton, Minnesota. Call us in advance at 507-836-8260 or 1-866-977-1847 to schedule a consultation, so we can help you start planning your dream wedding or your next successful event. Formal or casual... Small gathering or social event of the year... It’s sure to be truly magical with flowers and decor by V I P FLORAL. Call today!